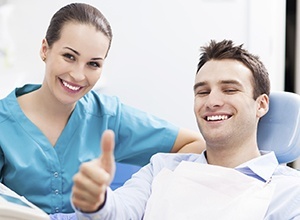 There are instances when a patient needs oral surgery in conjunction with a dental treatment. Fortunately, the Meriden Dental Group is able to perform a number of surgical procedures in the convenience of our dental office, so you won’t have to travel to another location for treatment. In addition to the surgical removal of the infected and hopeless teeth, we can also perform socket preservation to prevent bone resorption and help our patients maintain the integrity of their bone architecture and prevent bone loss. This is a very helpful procedure and it will allow patients to replace their missing teeth with reliable dental implants in the future. Contact our office today if you are experiencing a dental emergency and need to get treatment fast. We’ll be able to take care of you right when you need it the most.